Join Dusk Till Dawn Events for a night like no other as we present Fear in the Forest! Enter the dark and very haunted Epping Forest in Essex as we take you deep into this formidable location for an intense and terrifying night of ghost hunting! This vast and ancient woodland is a site very well known for its ghostly activity and strange supernatural sightings, however with terrible tales of murder and burial here, then this should come as no surprise. You will be joined by our experienced psychic Medium throughout the night, who will take you through various techniques of ghost hunting and enable you to gather evidence of the ghosts and spirits that are said to still haunt this scary and unique place! 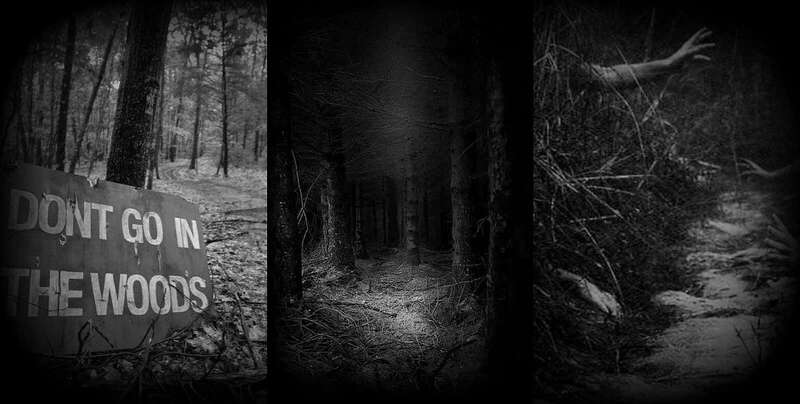 This is certainly a night not to be missed, so venture with us into this dark and intimidating forest as we communicate with the energies that are said to still wander this desolate and daunting location! Please note: As this is an outdoor event refreshments are not provided please bring along your own snacks and warm drinks if required. Please provide your own torch. Please Note: By purchasing a ticket by telephone, via this website or via a ticket agent means that all attendees have agreed to our Terms and Conditions of sale. By purchasing tickets for yourself or for other members of a group, you are agreeing to or on behalf of your group to adhere to our Terms and Conditions. Failure to do so may result in one or your group being asked to leave the event. We do have a zero tolerance policy. Please read our Terms and Conditions our prior to booking. Please Note: This event is not suitable for anyone with mobility issues. Important: If anyone arrives under the influence of alcohol or drugs and/or is suspected of bringing alcoholic drinks to the event, they will not be allowed to stay for the night and will be asked to leave the event. Parking at event: Local car parks please do not park in the Kings Oak Pub as this car park will be locked after a certain time. By purchasing tickets for yourself or for other members of a group, you are agreeing to or on behalf of your group to adhere to the strict terms. Failure to do so may result in one or your group being asked to leave the event. We do have a zero tolerance policy.